Create simple charts by using a Vue.js component- wrapper for sChart.js with a variety of options and styles. 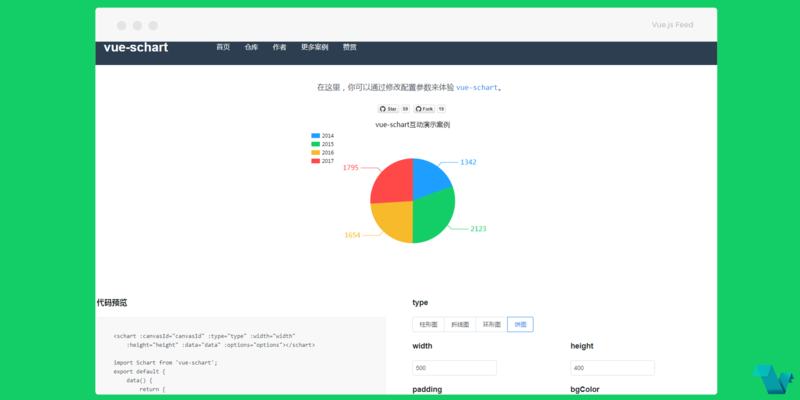 sChart.js, small & simple HTML5 charts. bgColor: '#76a8f7', // the background color of chart. Default is '#ffffff'. fillColor: '#42f4df',    // the color of bar chart or line chart. 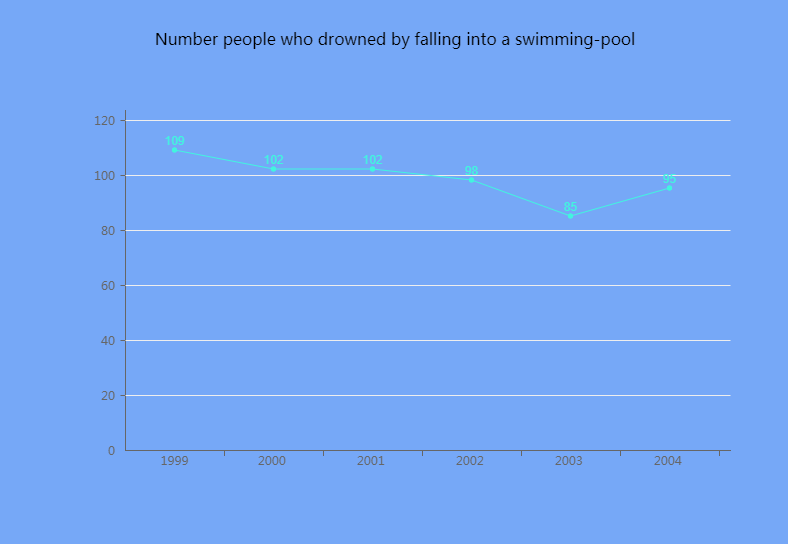 title: 'Number people who drowned by falling into a swimming-pool', // The title of chart. Default is null. titleColor: '#000000', // Title Color. Default is '#000000'. titlePosition: 'top', // String.Title position. Default is 'top'. legendTop: 40, // Legend position of top. Default is 40.
yEqual: 6  // The number of points on the Y axis. For more info regarding the available options refer to the documentation for sChart.js. If you would like to use and contribute to vue-schart, find the repo on GitHub.